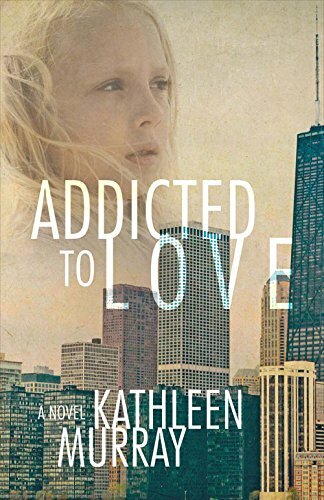 “Addicted to Love” by Kathleen Murray centers on Sally Smithfield, who grows up in Illinois with her three older siblings. Raised in a Catholic family amid childhood trauma, Sally is unable to discuss emotional issues with her family without being cut off. The story follows Sally throughout her life as the aftermath of her deep-seated emotional issues ultimately shatters her family life. The painful relationship chronicled between Sally and her mother is heartbreaking. Sally’s mother is highly critical of her youngest child, which explains the majority of Sally’s deep emotional issues. Because of this, Sally develops into a timid, docile teenager, and then into a timid, docile adult. A section from the book further details the dynamics of the relationship stating that Sally was lost without her mother’s judgments, criticisms, and comments. Murray’s book transports the reader to the conservative ideologies of the 1950s to the 1970s as Sally navigates through private schools, the perilous world of dating, and finally, dealing with her dysfunctional past in the 1990s. The caustic dynamic Sally has with her family was gripping. Often Sally’s emotions and wishes are belittled by her parents and her older siblings alike. Sally proved with each friendship and relationship that she was addicted to love and the feeling of belonging. She felt familial and societal pressure to follow others instead of fighting for herself. This is the author’s first venture into fiction, and Murray includes aspects of her own life in the story, such as Sally living in Illinois and Arizona as well as Sally working at an accounting firm. The autobiographical details did not hinder the book’s progression. Murray demonstrates that she is a strong writer with many more stories left to tell. However, the character of Sally was meek, frustrating, and completely lacking in conviction. Oftentimes, her personality and decisions hinge on the characters around her. Sally displays strength in certain parts of the book, though they are minimal within the context of the story. Whether this style was chosen strictly for this particular story or if this was Murray’s own writing style was difficult to determine. In addition, one-third of the way through the book, a brief shift in the narrator occurs which was unexpected and disruptive of the story’s flow. Murray could have employed the shift by utilizing that character earlier on in the book in order to keep it consistent. Alternatively, Sally and the other person could have introduced the event through dialogue to assist with the flow. Thankfully, this creative misstep doesn’t derail the entire narrative. In the end, “Addicted to Love” is a serious novel about love gained and lost, and how past decisions may result in future sorrow. Even though Sally’s character lacked agency, the book was an engrossing read throughout. Murray encourages the reader’s curiosity regarding how Sally can hope to overcome the consequences of her life choices. For anyone who can relate to the pain that can sometimes derive from family, “Addicted to Love” is a coming-of-age tale that is well worth falling for.